Does your facility utilize immediate use steam sterilization (IUSS)? Or perhaps the better question for you to consider is how often your facility uses IUSS. Joint Commission (JC) defines IUSS as “the shortest possible time from the item being removed from the sterilizer to the aseptic transfer onto the sterile field.” It’s a method designed to provide quick sterilization when a specific instrument or tray is needed for an emergency procedure or when an instrument has been contaminated during a procedure and another sterile instrument is not available. However, due to the speed and ease that IUSS provides, some facilities resort to using IUSS simply for convenience’s sake. Some even use IUSS simply because the supply of instruments is limited considering the number of surgical procedures that need to be performed that day. When these practices become a normal standard, you put your facility out of compliance with the JC. In short, IUSS should never be used as a standard substitute for proper and complete sterilization. Cleaning and decontamination. Was the item(s) properly cleaned in accordance with the manufacturer’s instructions for use (IFU)? If the IFU states the instrument(s) is to be cleaned via a mechanical washer, the items must be cleaned via this process before IUSS. Sterilization. The manufacturer’s sterilization IFU must be adhered to at all times which identifies IUSS cycle guidelines. For example, if an instrument requires a 10-minutes exposure, you can’t process it via an IUSS 4-minute cycle, or if there is no IUSS cycle on the IFU, you cannot process it via IUSS. Transfer. The transfer time between the item being sterilized and arriving in the sterile field for use must be minimal; this is where the term “immediate use” becomes imperative. The frequency of IUSS use. It’s important to note that JC does not identify lack of instruments as an acceptable consideration for the use of IUSS. For some hospitals, IUSS must remain an option. However, in light of JC’s guidelines, considerations for IUSS must be evaluated and guidelines should be in place to minimize the need. Proper tracking of IUSS loads helps to identify the common reason for IUSS. From there, you can create reports of your data, investigate the results, and plan for a better way forward. For example, you might find that IUSS use could be reduced if you had more of a specific tray or if loaners arrived sooner. Or, based on trending, you find that someone in the OR is continually contaminating instrumentation or that notifications of turnover trays are lacking or unclear. Sure, you can rely on easy fixes to these common problems like using a tray that doesn’t require a dry time and has a shelf life of 30 days, however, this is only applying a Band-Aid to the problem. 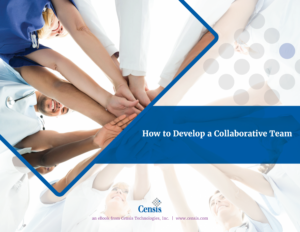 Ultimately, you need to put the patient first and focus on best practices, which is to reduce the need for IUSS rather than constantly using workarounds. So, if you are using IUSS, the next step is to start tracking your use of it to see if there are areas where you can improve. Let’s get tracking. The IAHCSMM Central Services Technician Manual (8th edition) states that recordkeeping for IUSS items must include patient identification, sterilization identification and sterilization parameters, items sterilized, the reason for IUSS, and who performed the process. This is where an automated instrument tracking tool is essential; it keeps track of an asset as it moves from decontamination through sterilization and into assembly to ensure you’re following the right steps. For example, in our flagship solution, CensiTrac, you can select IUSS as a cycle option on your sterilizer. And, as a timesaving method, you can create a stock list of IUSS reasons which populates for your staff to choose from when they select a reason for the IUSS load. When you have this information built into your IUSS sterilizer, you can then begin trending IUSS processes. You will also be properly documenting loads for meeting JC compliance. When a tray requires IUSS, it is important to scan the tray at all required scan points as identified by JC. Following the manufacturer’s IFU for cleaning and sterilization, scan the tray to decontamination and the wash method that is required. Once cleaned, prepare the tray for sterilization; not forgetting the chemical integrator. Create a sterilizer load and scan the tray to the sterilizer. When documenting the sterilizer load, from the drop-down, select the reason for the IUSS. Next, select IUSS for the cycle and enter the parameters. The notes option can be used to further explain the reason for the IUSS, but do not include any patient information. Along the way, automation can track all scans, store data, and provide you with a full report to show where IUSS is being overused. For example, when I worked as an SPD manager, I oversaw the reduction of 488 IUSS loads per year to 24 loads per year. Through the power of automated instrument tracking, I utilized the information it captured and identified a common denominator; the Rectal Tray. On Tuesdays, the surgery schedule typically had twelve rectal cases, but we only had five rectal trays, and cases were scheduled for 30-45 minutes. This resulted in trays needing to be processed via IUSS. I used the sterilization report for IUSS identification and combined it with a utilization report for the Rectal Tray. These reports identified that we were using IUSS and we didn’t have enough trays to meet the surgery schedule need. I compiled this information into one report and presented it to my leadership. In that report, I included the JC guidelines highlighting that they do not identify lack of instrumentation as a proper reason for IUSS, of which we were out of compliance. Just by being able to present that full report, I was authorized to purchase and build five more trays, thus eliminating the need to process a Rectal Tray via IUSS. You can do the same in your facility. If you’re relying too heavily on IUSS to solve the issue of low asset levels, start tracking your use through an instrument tracking system, and you’ll have proof to demonstrate a real need for increased assets. And, it’ll put you back in good standing with the JC. That’s a win for everyone. IAHCSMM. Central Service Technician Manual. 8th Edition. Chicago, IL.